This show was broadcast on January 9, 2015. 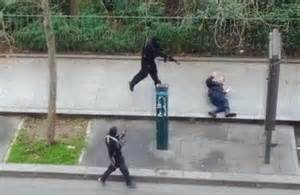 Re: Paris “Charlie Hebdo” attack”: another Zionist false flag? Kevin calls in to RBN’s Outcast Radio with Don Campbell, where islamophobes have been poisoning the anti-NWO discourse; then tries to interview Patrick Poole (see his press release below); and finally spends forty minutes discussing the Paris shootings and related matters with Rodney Shakespeare. ISLAMIC PARIS ATTACK GUEST: Patrick Poole, is a national security and terrorism correspondent for PJMedia.com. This entry was posted on Wednesday, January 7th, 2015 at 5:05 pm	and is filed under 9/11, Anti-War, Censorship-Propaganda, Death Squads, False Flag/Fake Terror, Freedom, Justice, Kevin Barrett, News, Protest, War Crimes. You can follow any responses to this entry through the RSS 2.0 feed.